A humpback whale has returned to Devon bay and is attracting large numbers of spectators hoping to catch a glimpse. 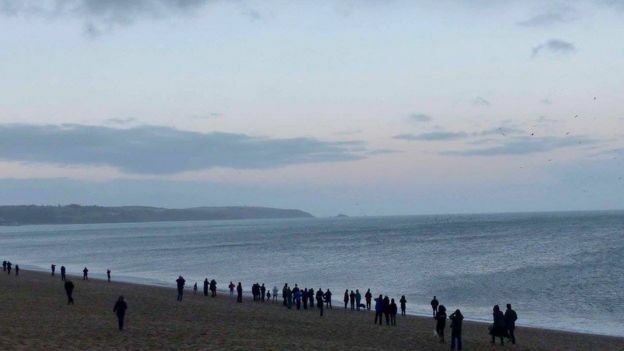 The creature was first spotted more than a week ago off Start Bay near Slapton. There have been reports on social media of its return in recent days and some photos now show it spouting water into the air. It was seen close to shore on Saturday evening and has attracted other species to the area. 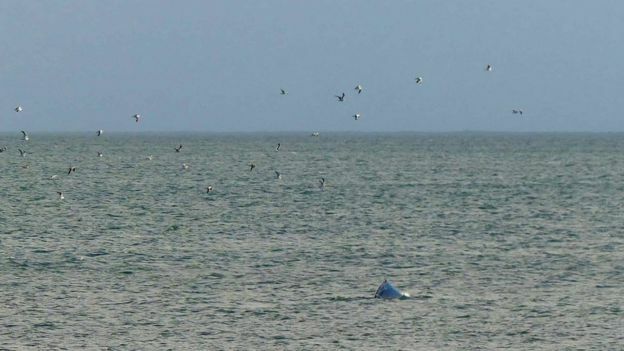 It is thought the whale is coming in to feed on herring and mackerel, which are also attracting large number of gannets. Whale watcher Pete has lived nearby for 14 years. “I’ve never see so many species of animal feeding in the bay, it’s like Blue Planet. “The herring gulls are following the whale like they might follow a trawler, and we’ve got loads of spectacular gannets, porpoises and seals too,” he said. He said the whale had been doing a loop of Start Bay, and most sightings had been in the late afternoon or early evening. 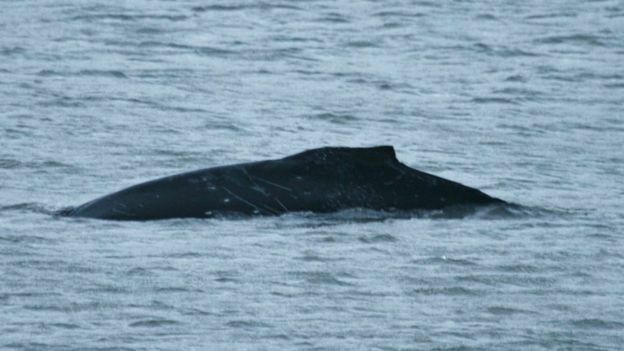 The Sea Watch Foundation, which records sightings of whales, said it was rare for humpbacks to be seen off the UK coastline until about five years ago, when sightings increased from about five per year to between 15 and 30. Sea Watch director Dr Peter Evans said numbers rose to about 40 in the past 12 months, a record high. He added: “They seem to be recovering and it could be just that there is a lot of fish about.